Upcoming concerts: April 11, 2008 in the Dorpskerk in Cappelle a/d IJssel, and April 12, 2008 in de Oude Kerk in Rotterdam-Charlois, by Ekaterina Levental. You can click here to hear 82 seconds of "Breakdance". 'Breakdance' is a composition consisting of two contrasting parts, a broken dance. The first part fast-moving, vigorous and very rhythmical. The second part contrasting with this, creating a quiet and thoughtful atmosphere by using flageolets, soft glissandi and slow rhythms. 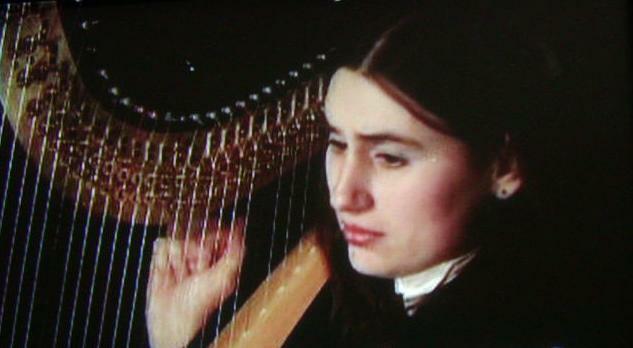 'Breakdance' was written in the first months of 2002 for harpist Ekaterina Levental. It was commissioned by the Fonds voor de Scheppende Toonkunst.